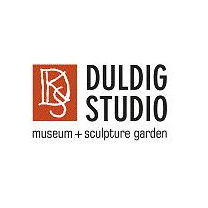 Karl and Slawa Duldig grew up in Vienna and studied art in the 1920s. Vienna at that time was a remarkable place. The birthplace of Austrian early Modernism (the Secession movement) and though still an exciting and stimulating place to be as artists, life was changing, particularly for Jewish people. This house museum holds furniture and artwork from that period, saved by Slawa and later hidden by her sister Aurélie (Rella) in Paris during the Second World War. As you walk through the house, garden and Studio you will gain a sense of what life was like for the Duldigs in Vienna before the war.